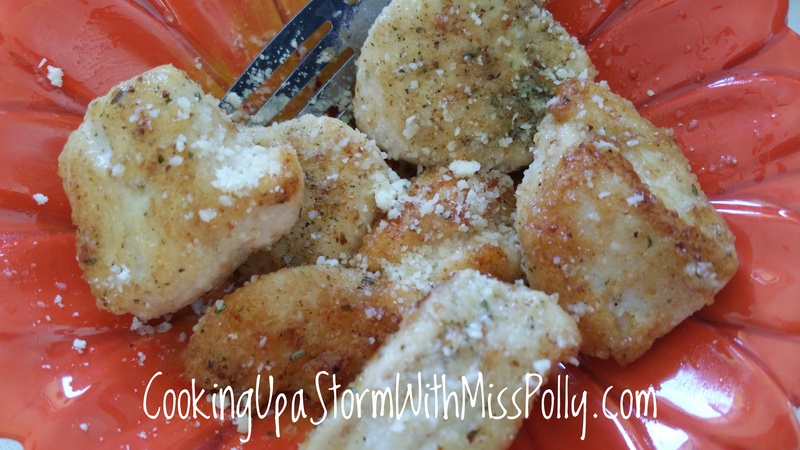 These tender and delicious chicken morsels that can be added to dishes throughout the week. They’re great with rice or pasta dishes and you can weigh them if you’re following a diet and you can see how much you’re eating very easily. I had 4 oz of them with of long grain rice today with a salad. 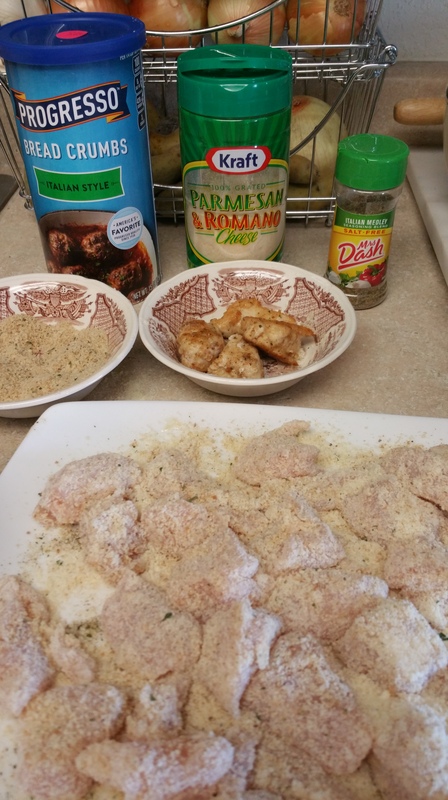 Simply roll the cut up chicken breast in firstly the parmesan Romano cheese and secondly in the season Italian bread crumbs, and sprinkle a little bit of the Mrs Dash salt free Italian seasoning over them. Cook on each side on medium high heat in a nonstick pan with a little bit of extra virgin olive oil brushed onto it. Once both sides are nicely cooked in the chicken is browned, move to a paper towel line dish. Enjoy adding the chicken to a whole variety of dishes. 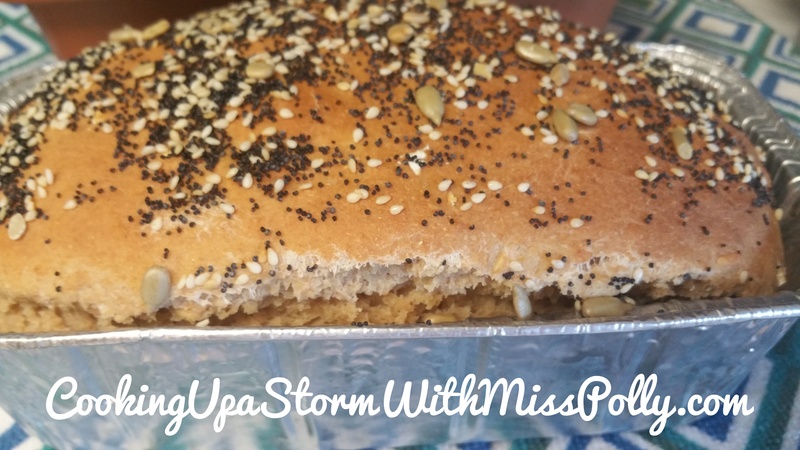 Recipe and photos by Paulette Motzko. November 5th 2017 9:45 a.m.